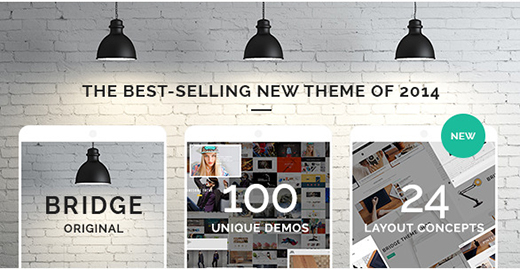 5 Inspiring Themes for Responsive WordPress Websites. Seeing the great influx of internet enabled mobile devices like Smartphone, Tablet and upcoming wearable devices, businesses are bound to go mobile. They need to look great, appealing and accessible at the tip of their target group’s fingers. Frankly speaking, it’s a tricky job. You need to hire a coder and UI designer to create a responsive website for you. Though, it goes easy for WordPress users because there are thousands of responsive WordPress themes available as free and at nominal prices. These WordPress responsive theme sites look great at all platforms including android, iOS and Windows. You just need to extract your contents from your old PSD based website and land in WordPress environment. You can use a free or premium responsive WordPress theme in your website. Such a theme will make an online identity look rich in content, followers, traffic and other metrics. Let’s look at the top 5 WordPress Responsive themes that can really inspire you to use for your Website. I. Design: The design of this theme is it charm and Integrity. Each design is made for its unique ambition. II. Extension: This is a great feature of this theme. It supports lots of extension which are available as free. III. Free Cornerstone: The most interesting feature of this theme is its availability with WordPress frontend page builder Cornerstone. It is the most creative tool to make your website more lively. IV. Fantabulous Short codes: This theme includes some amazing short codes as Responsive visibility and content’s table and more; all of them aim to improve your website functionality. V. Easy Customization: This theme is featured with live previewer. Before hitting the publish button, you can see the updated web page on your browser. In this way, you can enhance the quality of your website content. Buy X | The Theme for $63. I. Stylish Portfolio Layouts: Its impressive layout design is flexible. You can choose the one from the best for your purpose. II. 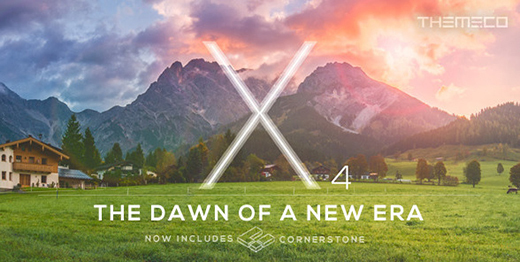 Retina Ready: It looks awesome at all devices because of its high density retina display. III. Search Engine Optimizer: This theme is enabled with tags that can be easily tracked by Google crawlers. IV. Fully Responsive Theme: Bridge is a fully responsive theme; supports all kinds of devices and you can control its responsive feature by disabling it. V. Translation plugins: This theme has WPML multilingual plugin. It can translate the contents of one language to other languages. This makes it appropriate for global user base. Buy the Bridge theme for $58. This theme is build by Theme Nectar and is one of the top selling themes on Theme Forest. It is used by 14000 websites and has been subscribed 1000 times by YouTube users. The genuine reason behind its top selling stature is its visual effects that appeals greatly to the viewer. The video background is the most striking feature of this theme which empowers you to add innovative videos along with super fined images. You can use the features of this theme at just $58. I. Fully Responsive Design: The theme design is totally compatible with all kinds of screen resolution which showcases your content in best way and full details. II. Easy and fully Customizable: This theme is fully customizable and you can show any part or any page of website on your home page just by using multiple columns and sections and sub-sections. III. Free updates and support: You can get the timely update of your theme and support if you counter with some kind of problems. Hereby, you may increase the functionality and viability of your theme. 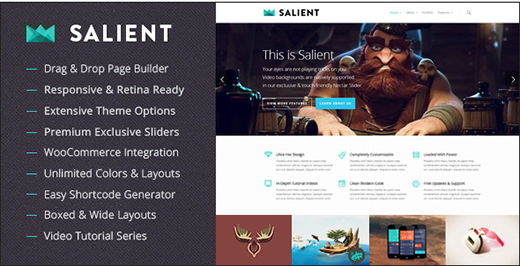 Buy the Salient theme for $58. This is a top-notch theme of excellent build quality, more than 100+ unique pre-made layouts, 17 customizable header styles, 200+ short codes and end number of most striking features as well. Everyone can us this premium theme and it doesn’t matter what their purposes are. The theme costs $58 which seems to be expensive but after buying you will soon realize that it is worth to buy it. The core features of this theme are: Powerful Admin Panel, Short code Generator, Responsive & Retina Ready, Parallax Effect & Video Background, built-in Translator support, Speed Optimization and the list goes on-and-on-and-on. By following the given link, you can buy this theme. Buy the BeTheme for $58. This is the best suit to those people who have less amount of publishing work and their budget is small as well. However, being an economical theme; it does not compromise with its features including Short codes generator, Smooth Scroll, WPML, ready to translation and some more exciting features. 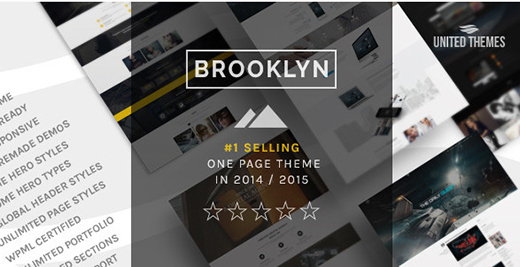 Buy the Brooklyn theme for $48. Now, if you are trying to increase the size of your audience, you just need to buy one of the finest WordPress responsive themes that can match exactly with your vision and fit the bill. Elvin Roy is qualified PSD to Responsive Wordpress professional who is great at delivering focus in her writings. She meets expectations for wordsuccor, a WordPress Development company which also giving proficient theme & templates customization services across the globe. 60 queries in 0.316 seconds.